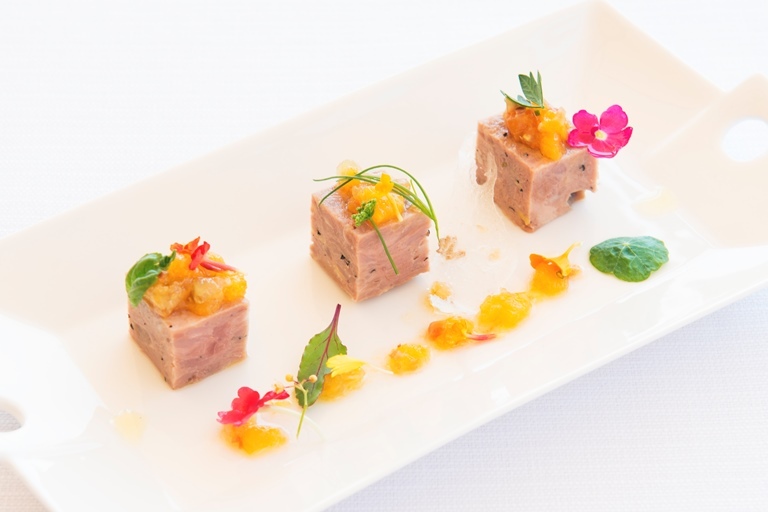 Roberto Petza's suckling pig recipe is an elegant take on a rustic country terrine. Slowly cooked in a steam oven, the simple mix of suckling pig, pork liver and fragrant herbs are set firm, with finely chopped pistachio nuts adding a little extra colour and texture. Served with a vibrant orange and chilli compote for a fruity finish, this meaty dish is well worth the wait.